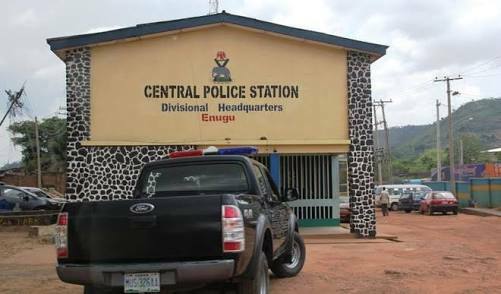 Enugu State Police Command has launched a manhunt for Onyenwe Offor Ajah, who allegedly killed his son in an Enugu community. Spokesman Ebere Amaraizu said in a statement yesterday that the incident occurred on March 28 at Ameke Enu village in Oduma community of Aninri Local Government. He said the son, who Ajah allegedly killed after a disagreement, was identified as 38yrs old Kenneth Ajah. Amaraizu said the suspect had a misunderstanding over some issues with his son. “It was learnt that following the alleged misunderstanding, there was a fight between father and son, resulting in the father hitting the victim on his head with an object. “The son became unconscious and was rushed to a nearby hospital. He was later confirmed dead by a doctor on duty,’’ he said. The spokesman said the body had been taken to Awgu District General Hospital mortuary, adding that a manhunt is on for the fleeing father.